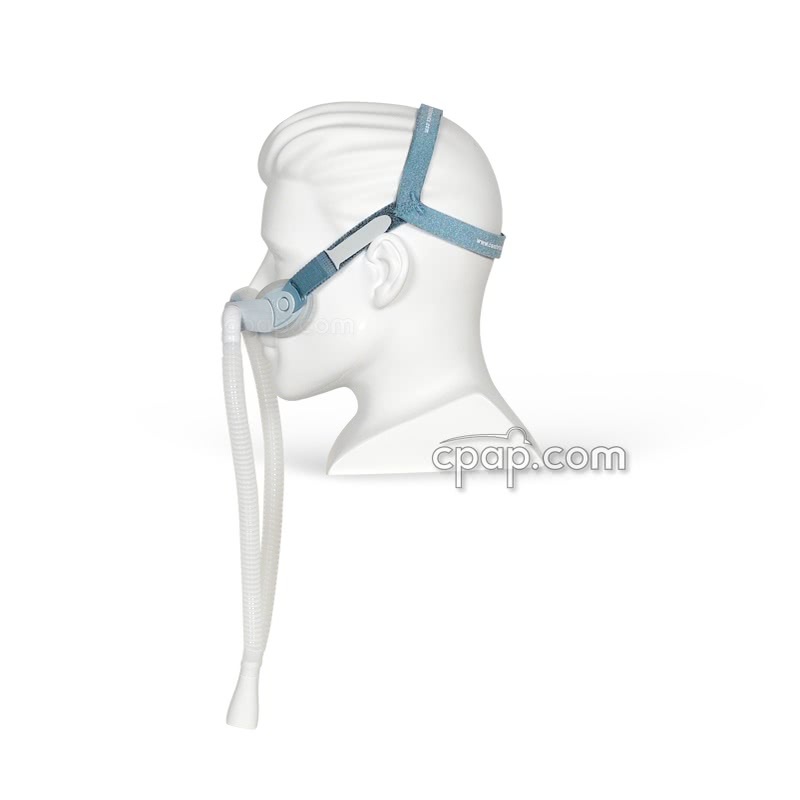 Newer Model Available: Optilife Nasal Pillow and CradleCushion CPAP Mask with Headgear.
" I find the comfort of this device to be far superior to the traditional mask. " 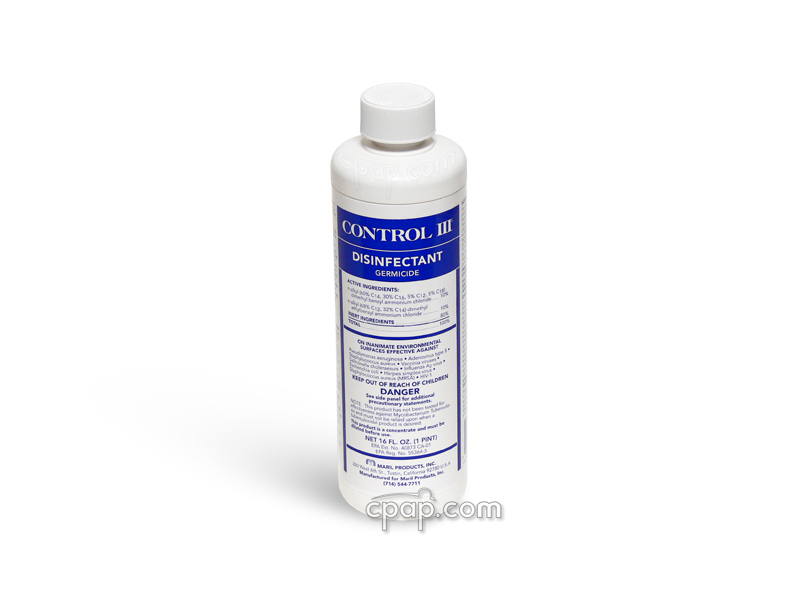 " I love the product. It allows me to read books and to watch television and is quite comfortable. It is a great mask. " 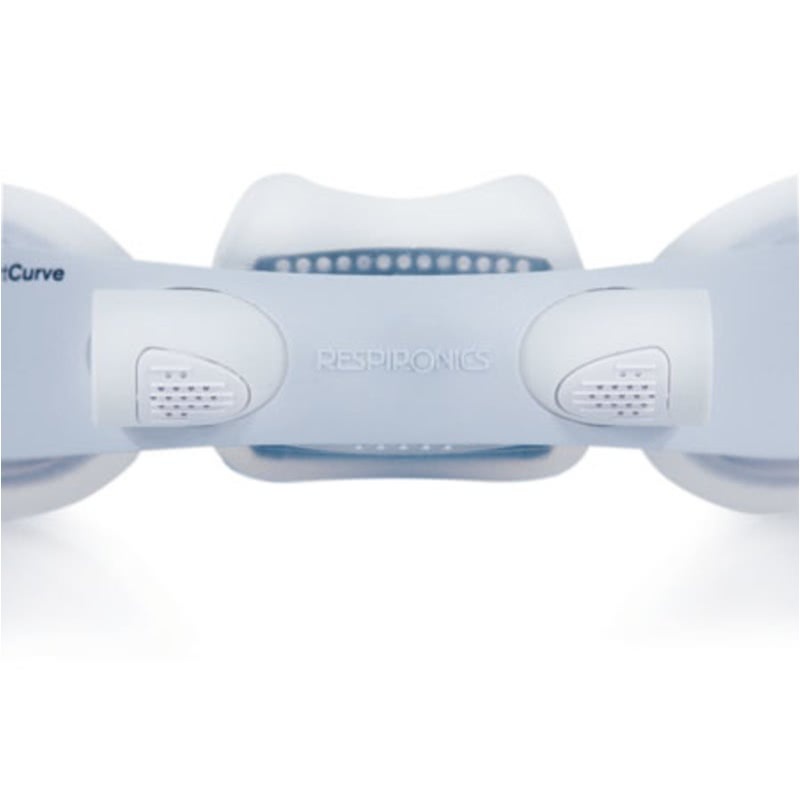 The ComfortCurve Nasal Interface System is a breakthrough alternative to traditional nasal masks. 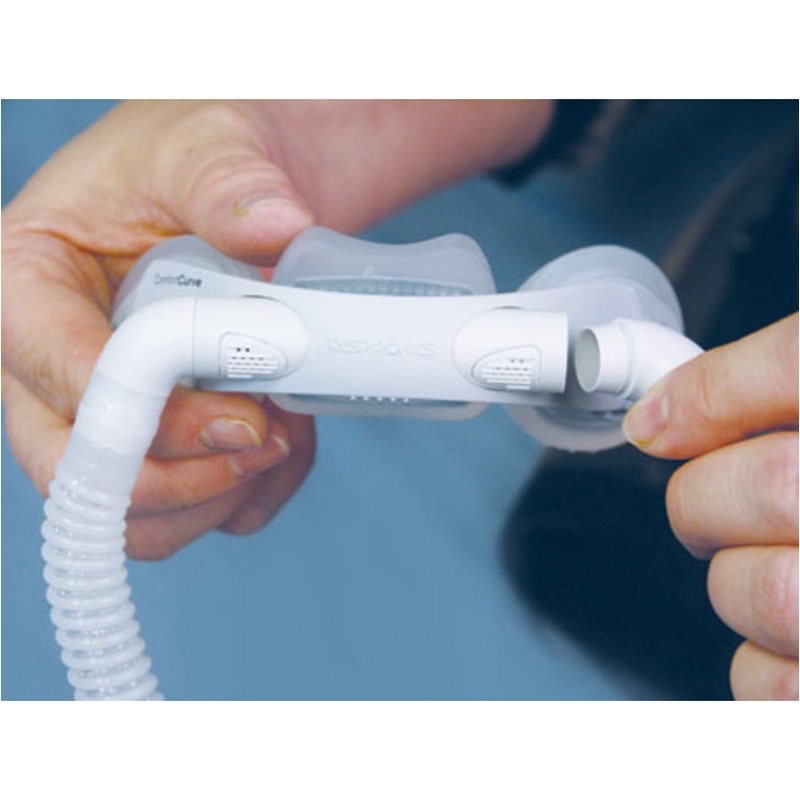 It is the first interface system to provide a less invasive, more complete and lifestyle-oriented form of airway delivery. 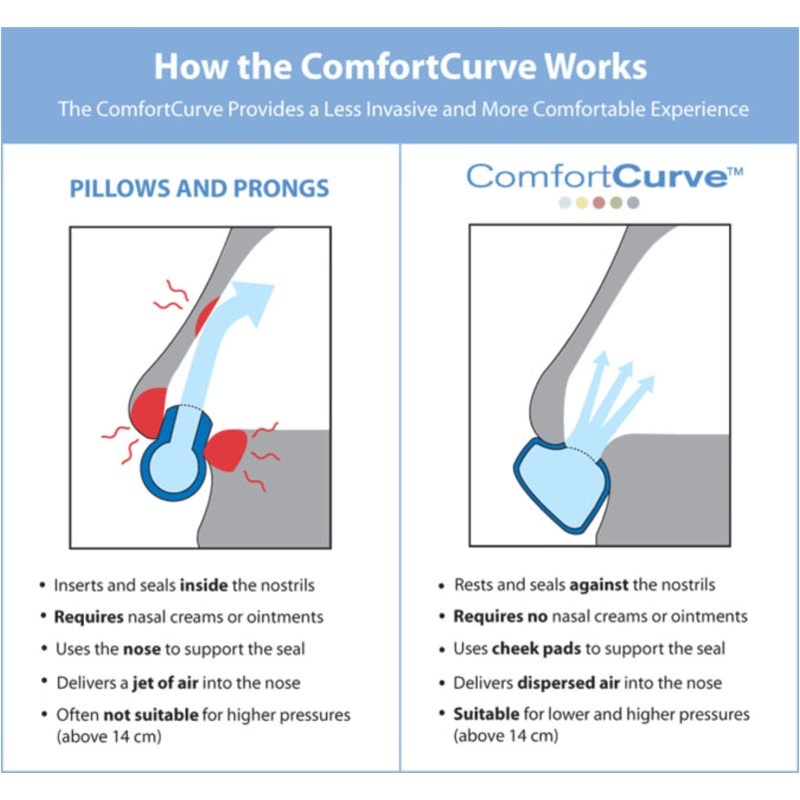 The ComfortCurve features an innovative cushion that gently cradles the nose and delivers a dispersed flow of airway pressure. 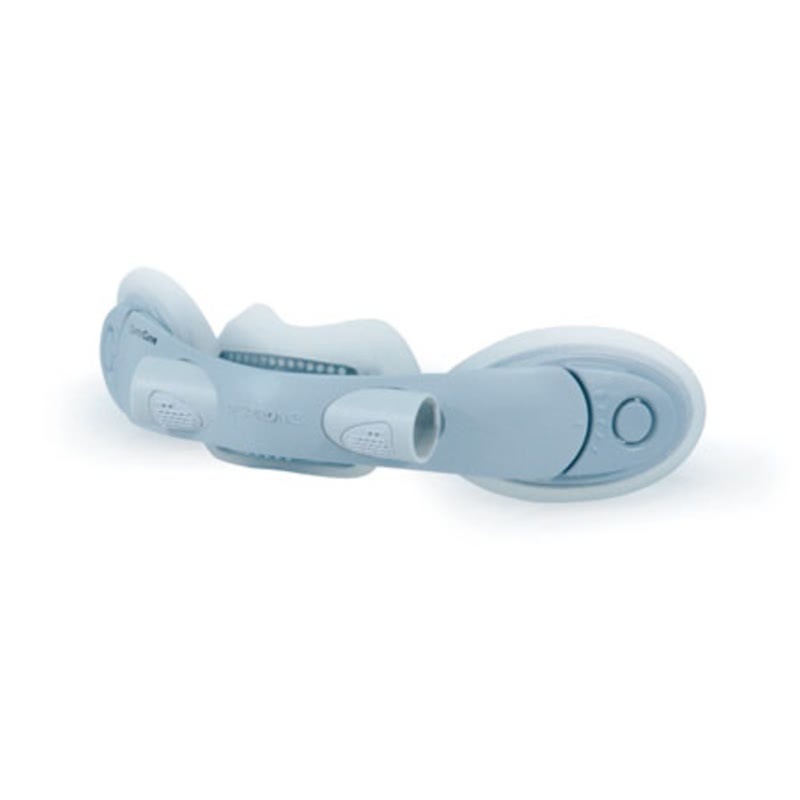 The ComfortCurve's low-profile and compact design allows for unlimited patient visibility for watching television and reading before sleep and it is packaged in an attractive pouch for convenient travel. 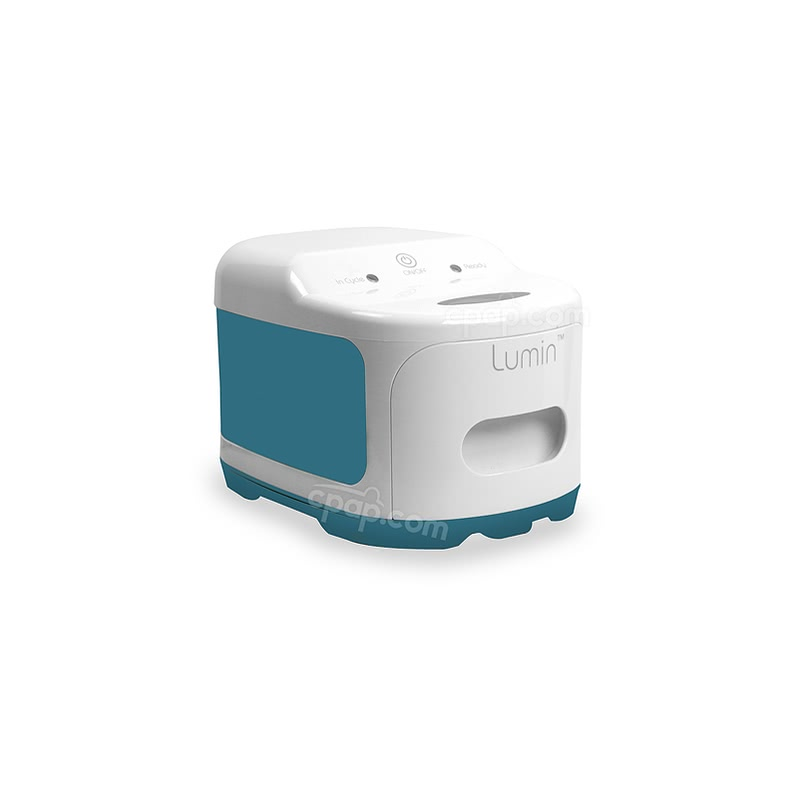 It comes standard in blue but is also offered in 5 color options (sold separately) to customize the interface for a fun, personalized expression. All Sizes Included. 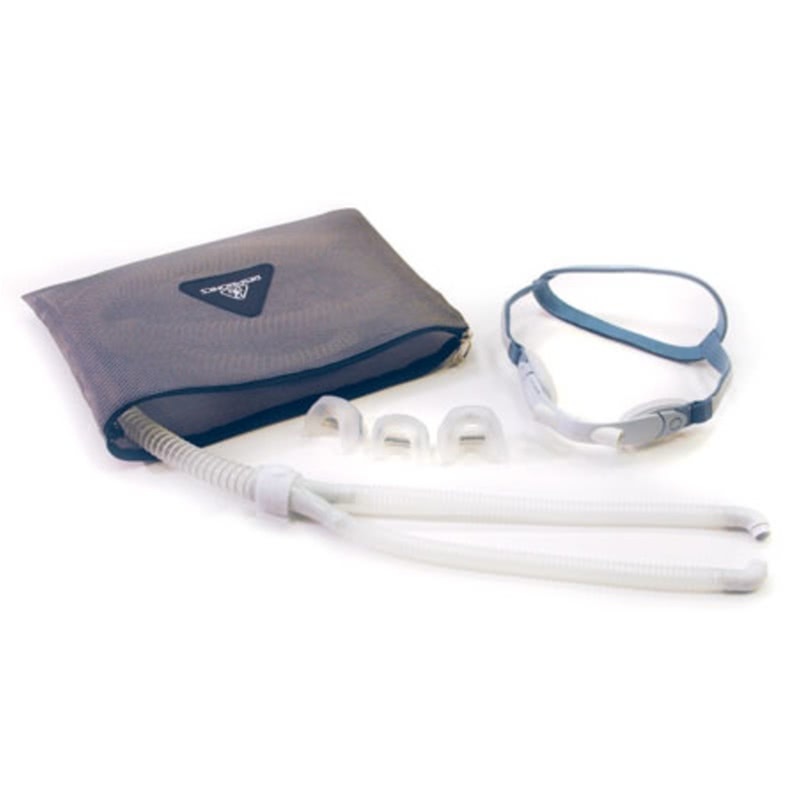 It comes complete with 3 cushion sizes, 1 headgear, and an exclusive tubing system. Innovative Cushion. 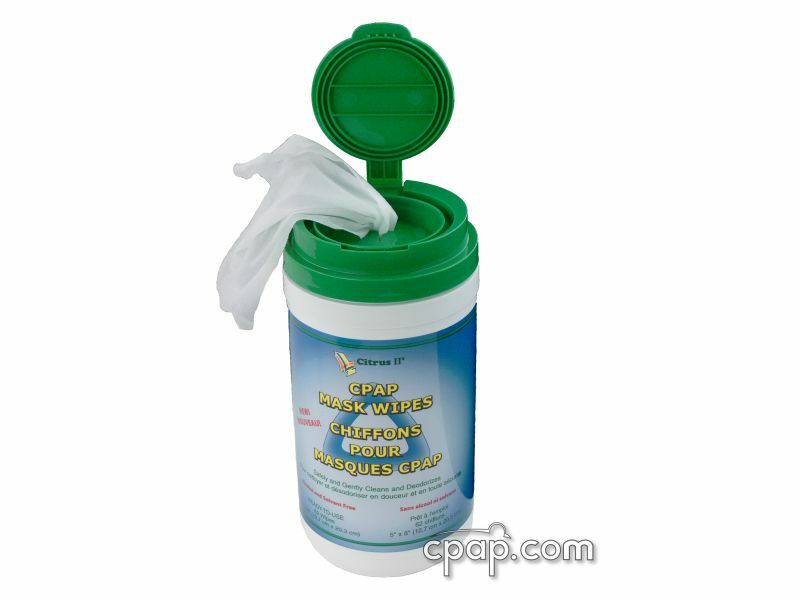 The cushion provides a soft, cradling seal gently under the nose. 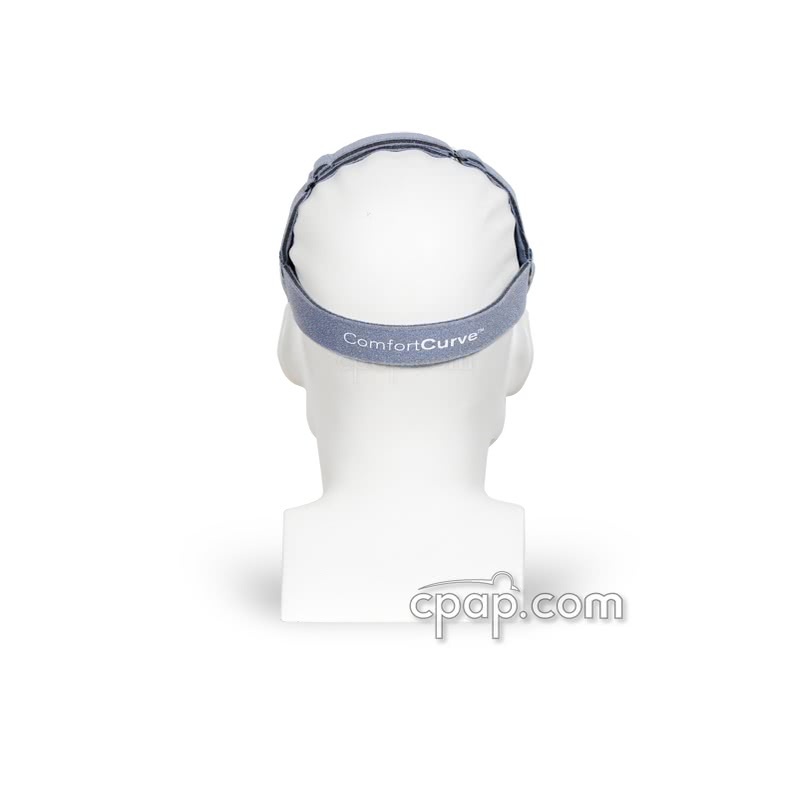 The cushion delivers a dispersed flow of airway pressure to improve comfort. 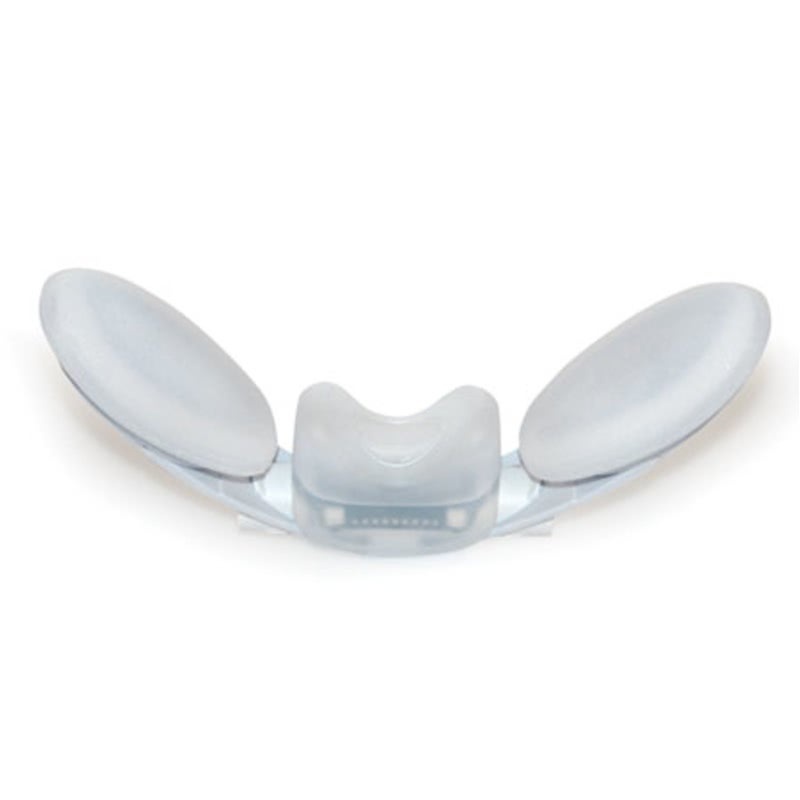 Adjustable Cheek Pads. 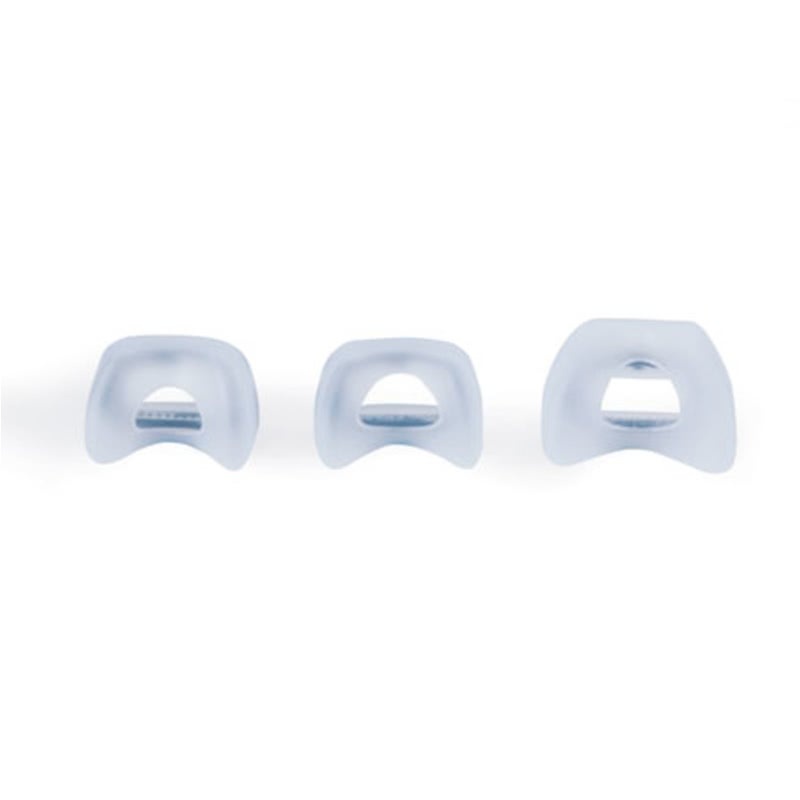 The mask relies on ergonomic and adjustable cheek pads instead of the nose to support the seal and further eliminate unnecessary nostril irritation, pressure, or pulling. Lightweight Tubing System. 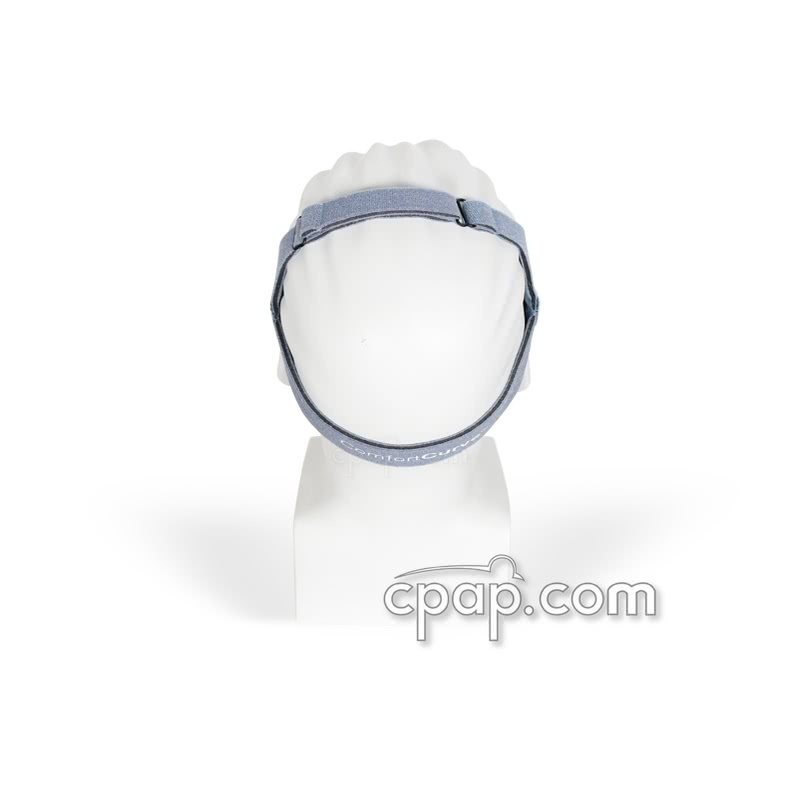 The lightweight and flexible tubing system is less likely to pull on the mask or disrupt the seal. 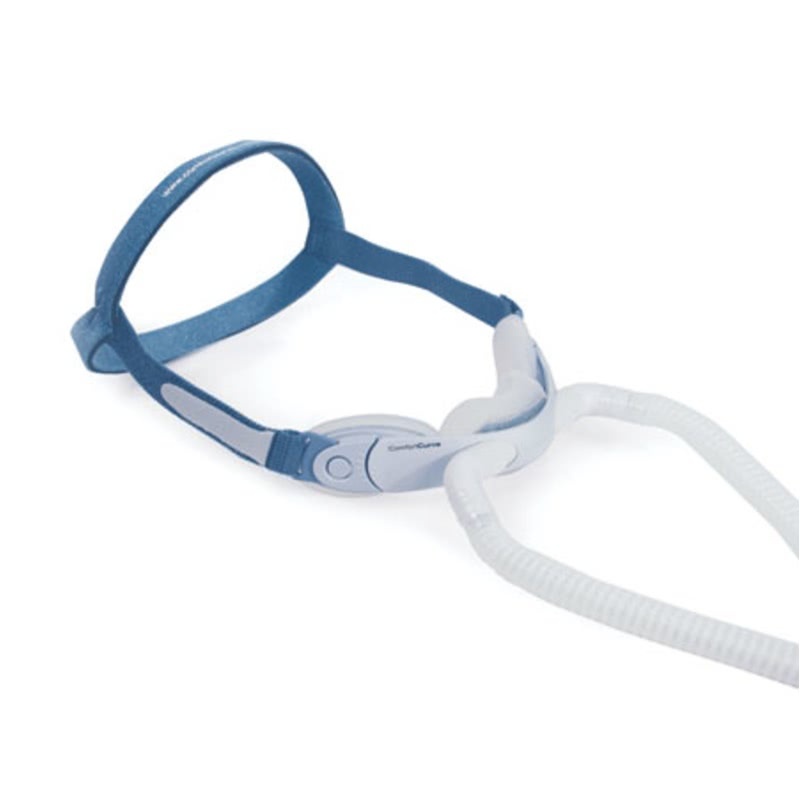 The mask and included tubing are compatible with all Respironics devices including REMstar Systems with C-Flex, BiPAP Pro Systems with Bi-Flex and REMstar Auto-CPAP Systems. Compact Design. 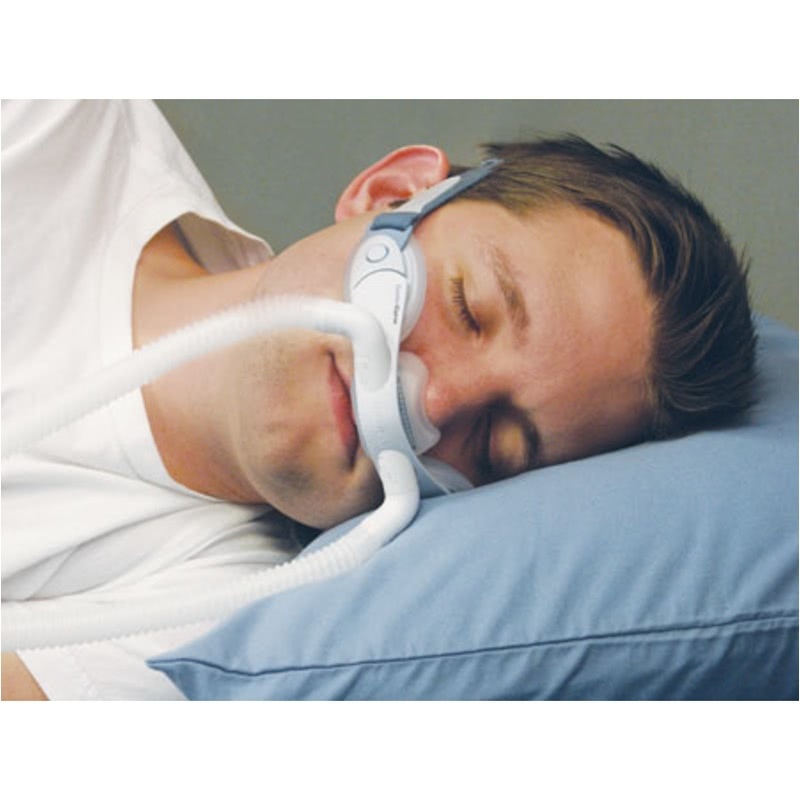 This mask offers a less medical-looking, innovative and compact design that allows unlimited patient visibility for reading or watching television before going to sleep. The mask also comes packaged with an attractive pouch for convenient travel. 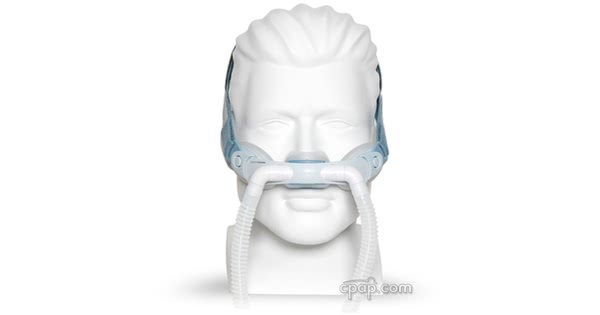 This mask comes with an exclusive tubing system that includes a built-in 6 Foot CPAP hose. 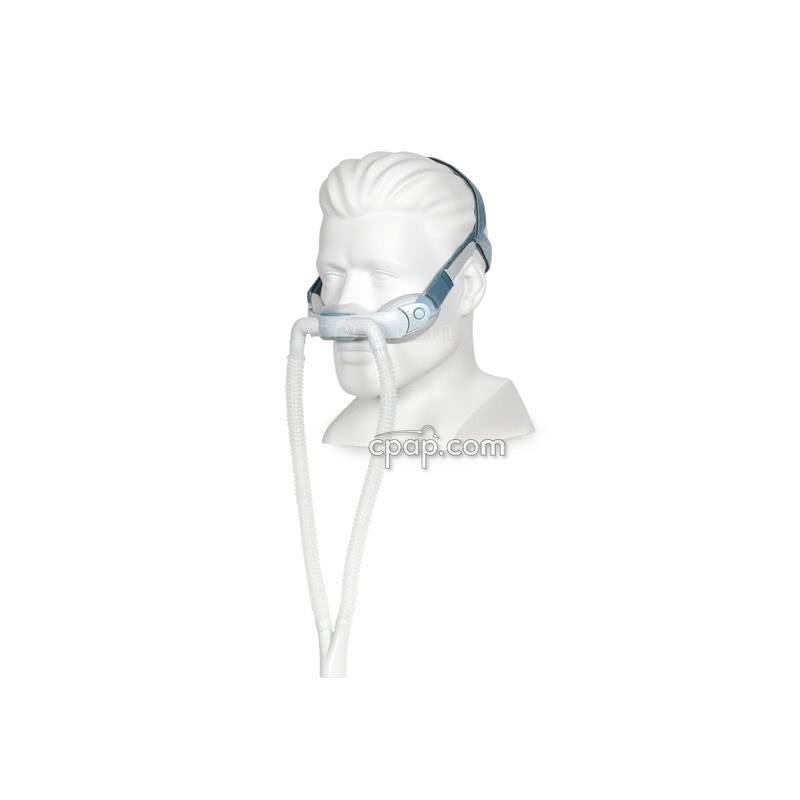 You must use an Outlet Swivel with Pressure Tubing to work with CPAP machines that support a mask pressure sensor. 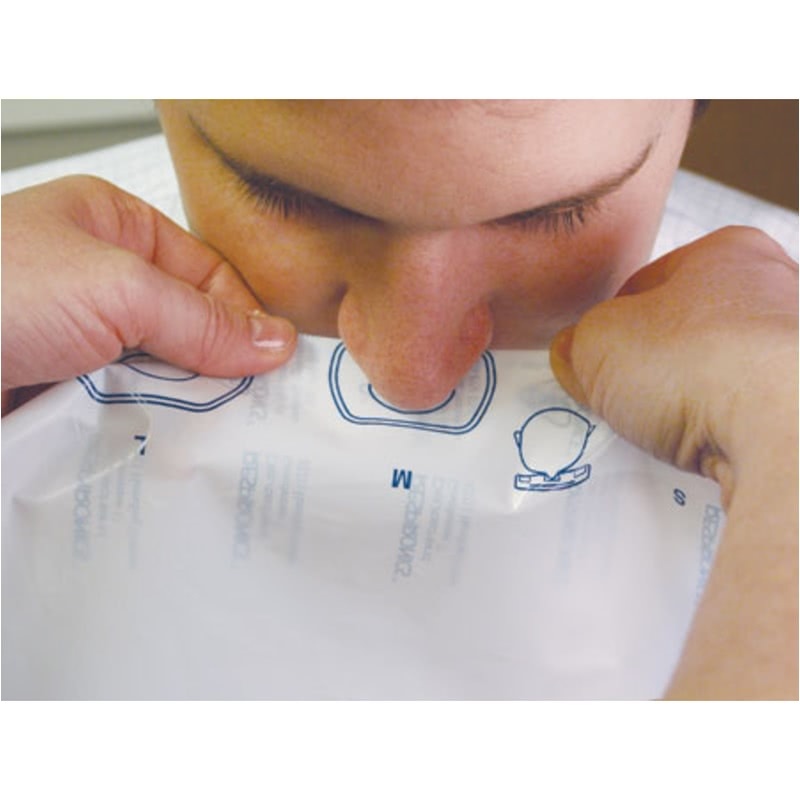 If the base of the patient's nose is wider than 1 7/8 inches, getting a good seal can be difficult. This item is part number 1019185. This mask can be used with all machines. 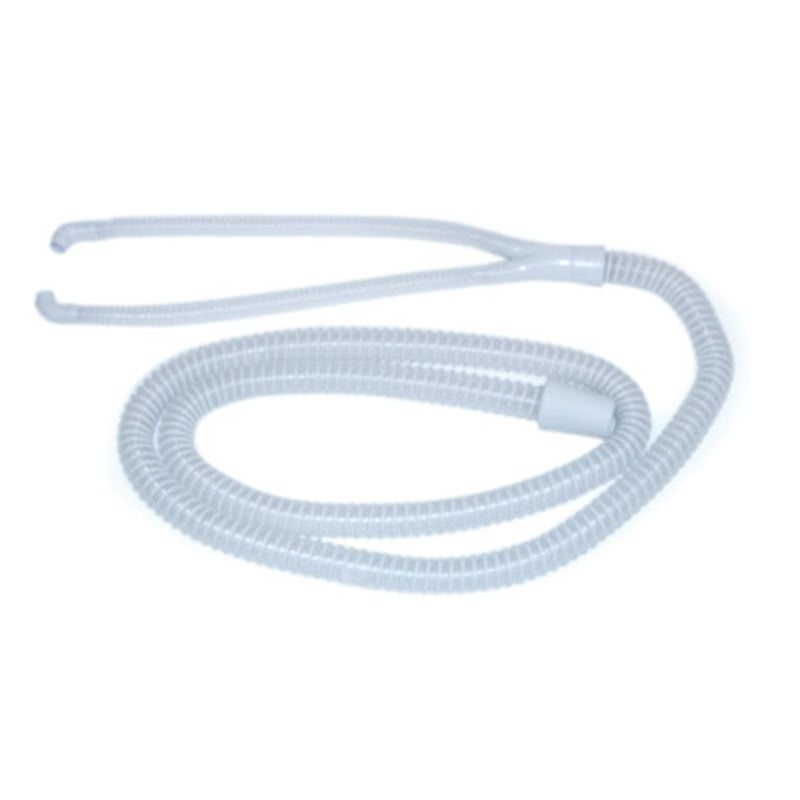 When used with the HC608 & HC604 connecting the mask to the hose can be challenging. 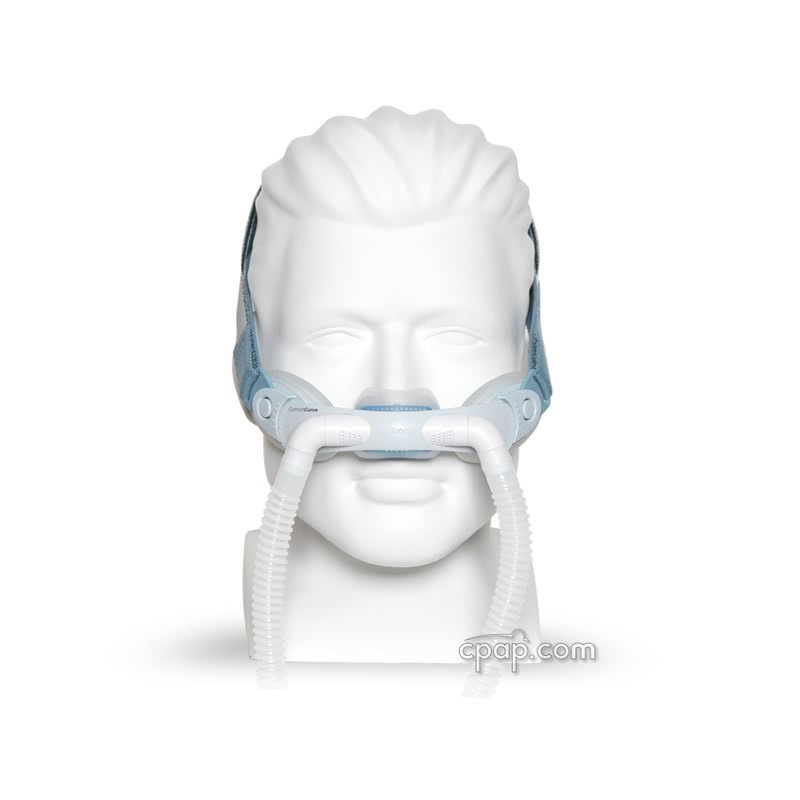 We suggest purchasing a hose connect to aid in the process if using this mask with these specific machines. 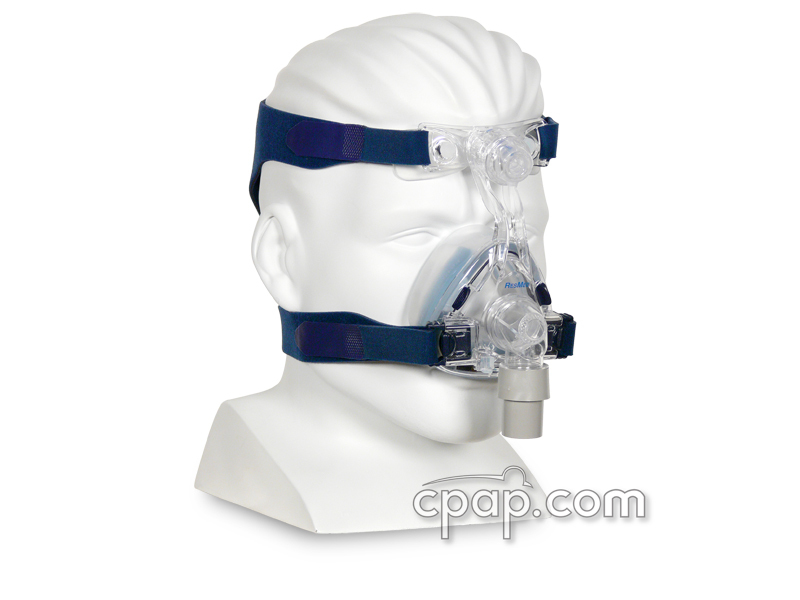 How can I get help from a CPAP expert? By Live Chat: Click on the Chat now field in the lower right hand corner of the CPAP.com page. If after hours, click Leave a message to enter your question and we will get back in touch with you.